Zahra Hankir is a Lebanese-British journalist who writes about the intersection of politics, culture, and society in the Middle East. Her work has appeared in Vice, BBC News, Al Jazeera English, Bloomberg Businessweek, Roads & Kingdoms, and Literary Hub, among others. She was awarded a Jack R. Howard Fellowship in International Journalism to attend the Columbia Journalism School and holds degrees in politics and Middle Eastern studies. 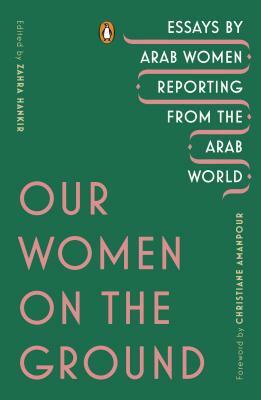 Christiane Amanpour (foreword) is CNN’s chief international anchor and host of the network’s award-winning, flagship global affairs program Amanpour, which also airs on PBS in the United States. She is based in the network’s London bureau. Christiane’s illustrious career in journalism spans more than three decades. After joining CNN in 1983, Amanpour rose through the organization, becoming the network's leading international correspondent reporting on international crises in the Gulf War, Iraq, Afghanistan, North Korea, Palestinian territories, Iran, Sudan, Israel, Pakistan, Somalia, Rwanda, the Balkans, Egypt, and Libya. Amanpour has interviewed most of the top world leaders over the past two decades and has received every major broadcast award, including an inaugural Television Academy Award, eleven News and Documentary Emmys, four Peabody Awards, and nine honorary degrees. In 2014, she was inducted into the Cable Hall of Fame and in 2018 was inducted into the Broadcasting & Cable Hall of Fame. She is a member of the American Academy of Arts and Sciences, a Commander of the Most Excellent Order of the British Empire, an honorary citizen of Sarajevo, and a UNESCO Goodwill Ambassador. Amanpour is a graduate of the University of Rhode Island.